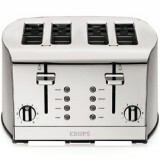 Breakfast Set 2-Slice Toaster with Brushed and Chrome Stainless Steel Housing. 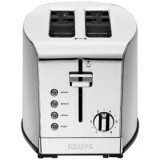 Features: A ..
Breakfast Set 4-Slice Toaster with Brushed and Chrome Stainless-Steel Housing. 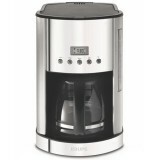 A giant leap forwa.. 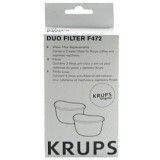 Fits Crystal Arome Plus models (#F466 and F467), Fresh Aroma models (#F619 and #F625), Aroma Control.. 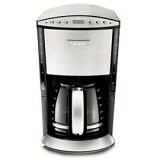 Powerful motor grinds beans from coarse to fine in seconds Large grinding capacity yields groun.. 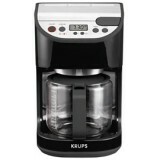 Features: 900 Watts High/Low/Off switch with LED backlight Pre-programmed speed setting C..
12-cup glass carafe with black and stainless-steel finish Powerful 1100-watt heating element ..
13-cup capacity (65 oz.) 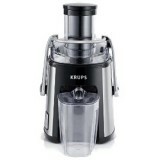 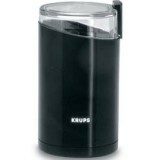 Brushed stainless-steel wrap + glossy black plastic Glass carafe wit..
KRUPS KM730D50 Breakfast Set 12-cup Glass Carafe Coffee Maker with Brushed and Chrome Stainless Stee.. 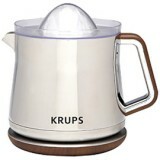 Exclusive design: Stainless Steel, Chrome and wood optics Universal cone for all types of citru..